It was a gloriously warm and sunny Sunday in Mexico City aka CDMX. Our plan was to take a stroll through La Condesa to check out the scene of green spaces, art deco architecture, stylish boutiques and trendy crowds. But all of this was simply a way to pass the time until we visited La Gateria. We enjoyed our walk, but were anxious to see the kitties and La Gateria, only one of three cat cafes we have found in Mexico, so far. 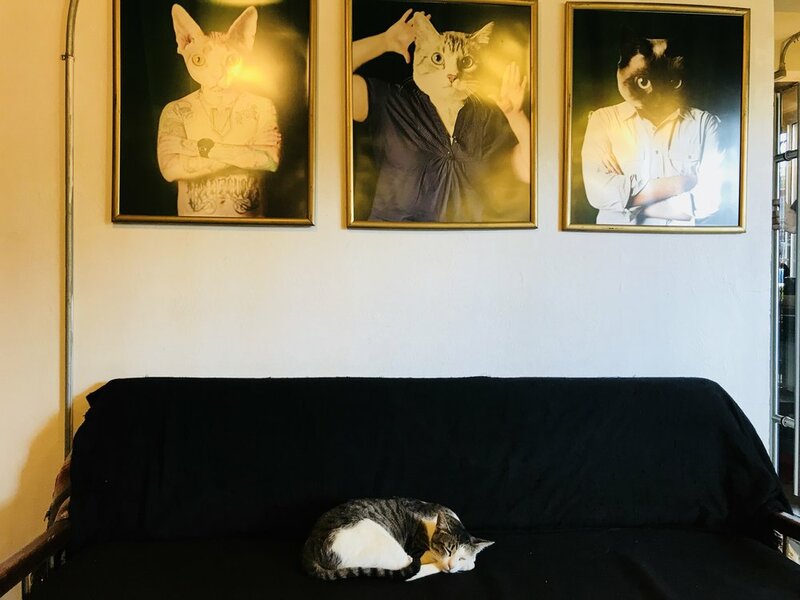 According to Esther, the owner, La Gateria originally opened as a cat boutique in 2012, adding the cat cafe in May, 2015. 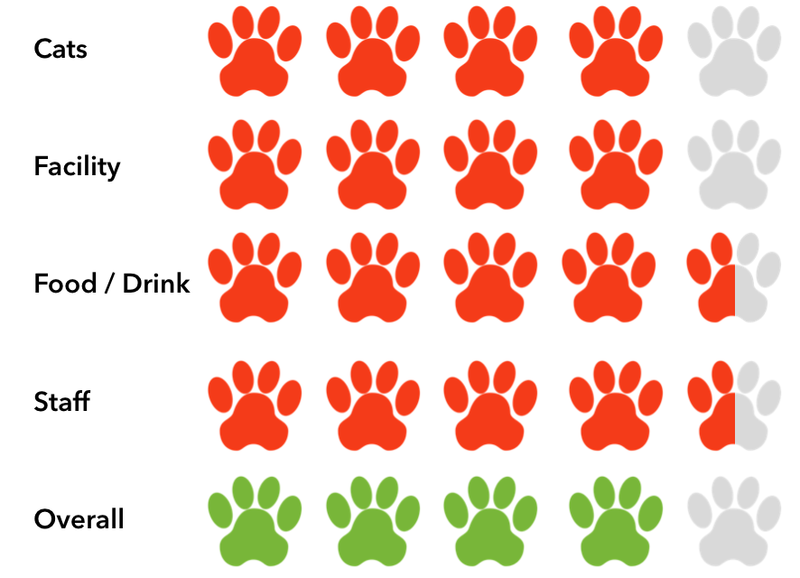 Working with Centro de Rehabilitación para Perros y Gatos (Rehabilitation Center for Dogs & Cats), they have achieved great success with over 206 cats having been adopted. 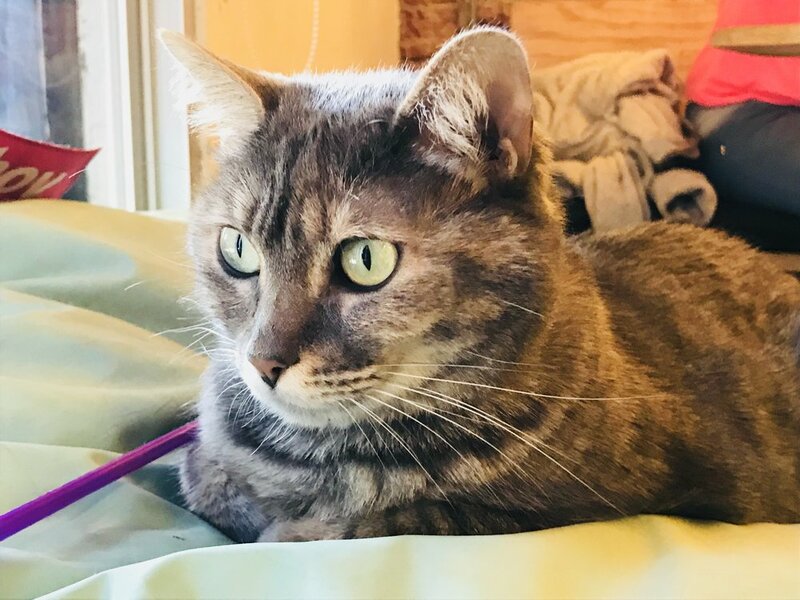 The day we visited, there were eight kitties in residence, a variety of short and long-haired rescues that were very sweet and social, although handsome tabby Romero was feeling a bit spicy and antagonized a few of his fellow felines. While waiting for our order, we checked out the cafe. La Gateria is a cool space made up of red brick, white tile and sleek wooden benches, but all the hard surfaces are softened by warm light, soft jazz music and quirky art including one particularly amazing wood-burning image of a cat that dominates one wall. 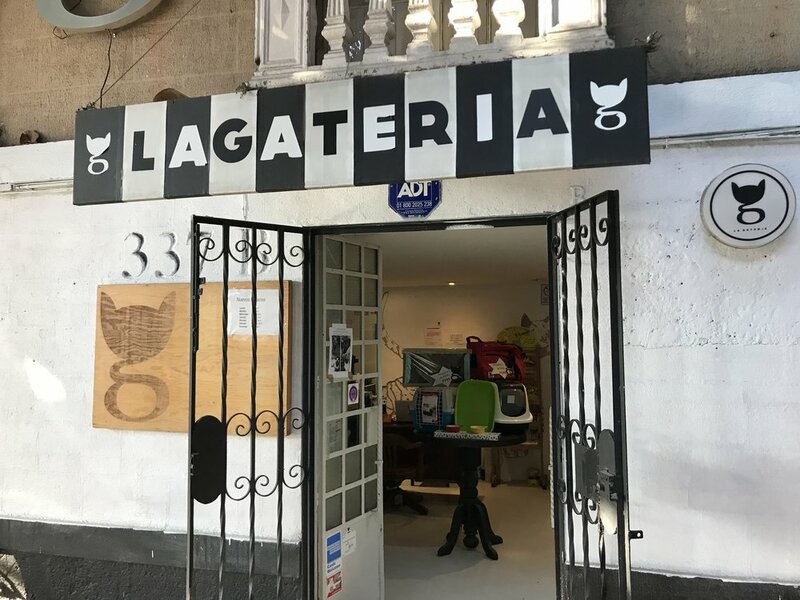 Art is at the heart of La Gateria and the pet shop has evolved into a chic boutique where you can purchase hip and stylish cat gear, but I was especially impressed by the logo, a cat head shaped G that is so clever, it made our 'Coolest Cat Cafe Logos' list! 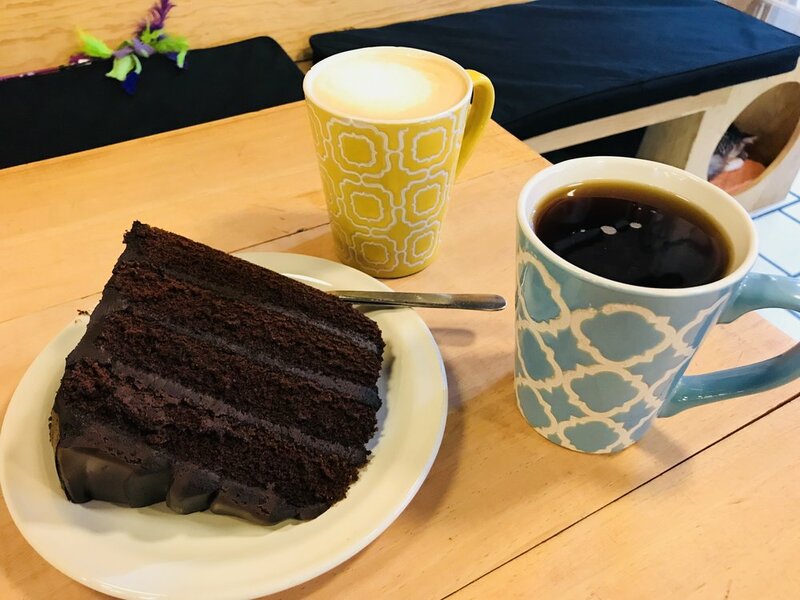 The server delivered our coffees and thick wedge of decadent chocolate cake, which thankfully we split as it was so rich and delicious, I almost ate the whole thing myself! There is no cover charge, just the cost of your food and beverage order, and they offer a substantial menu of savory sandwiches, salads and pasta plus sweet desserts, smoothies and coffee drinks. 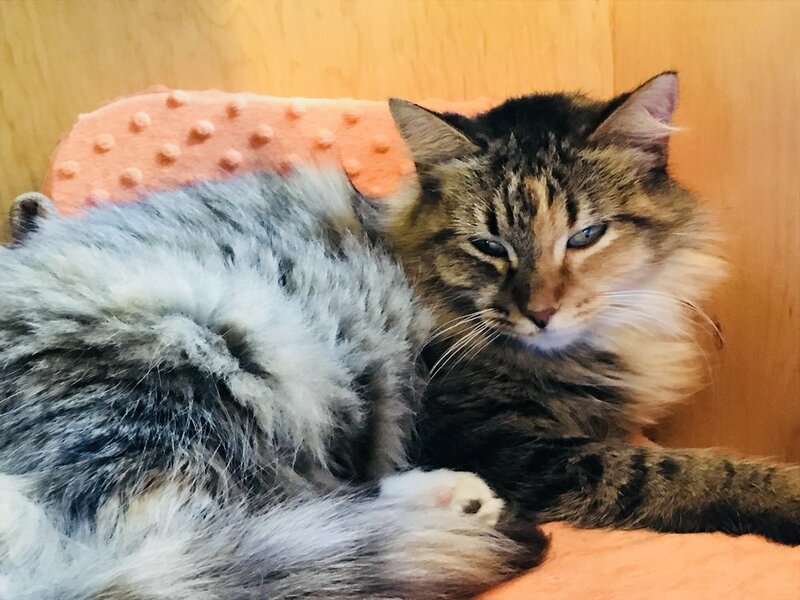 There were only two tables occupied when we arrived, but soon after a rush of people quickly filled the 14 seat room, many enjoying yummy-looking smoothies while smiling over the antics of the cats. The staff were especially friendly, helping me out with English when my limited Spanish fell short. Later, I was able to email with Esther who gave me the background on the cafe and boutique and let me know their cool gear is also available online and has helped keep things going, especially after the devastating earthquakes last September. 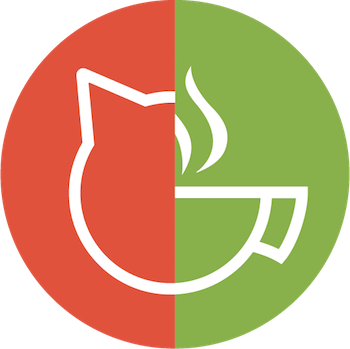 La Gateria is run by some incredibly lovely people and they have created a pleasant atmosphere for you to enjoy coffee, cake and kitties. When in CDMX, prioritize a visit (or two)!